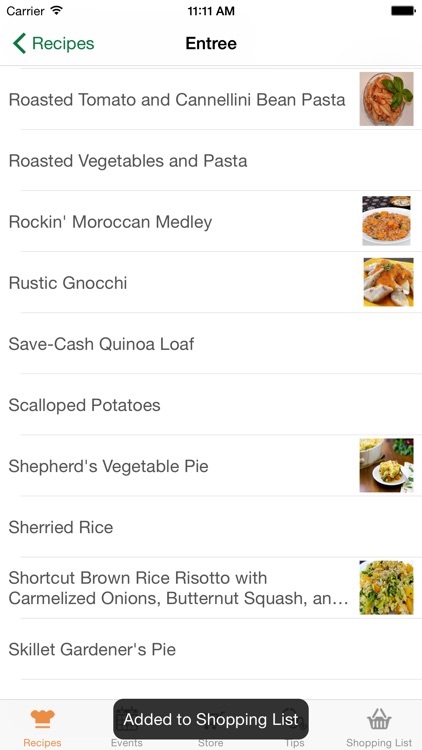 The Dr. McDougall Mobile Cookbook contains over 1,000 healthy recipes. 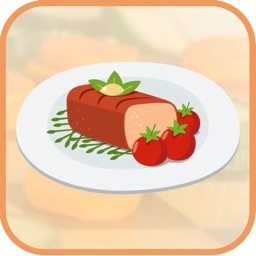 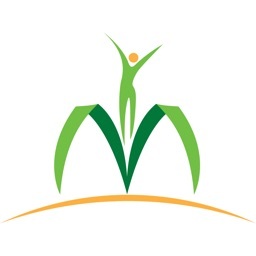 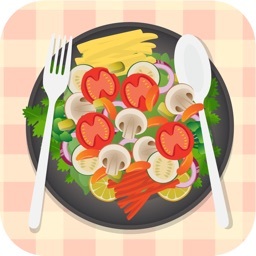 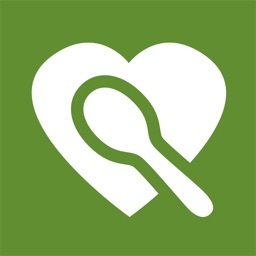 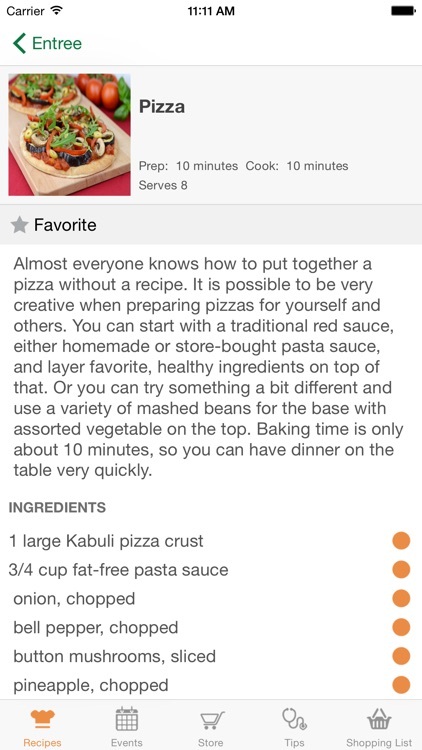 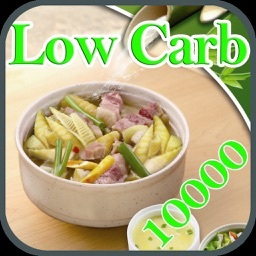 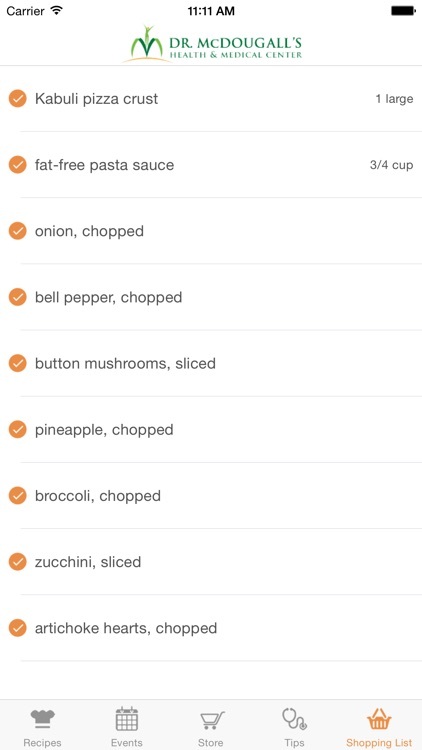 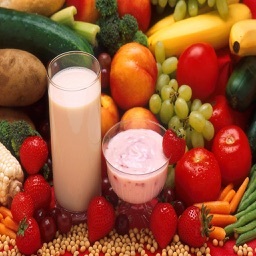 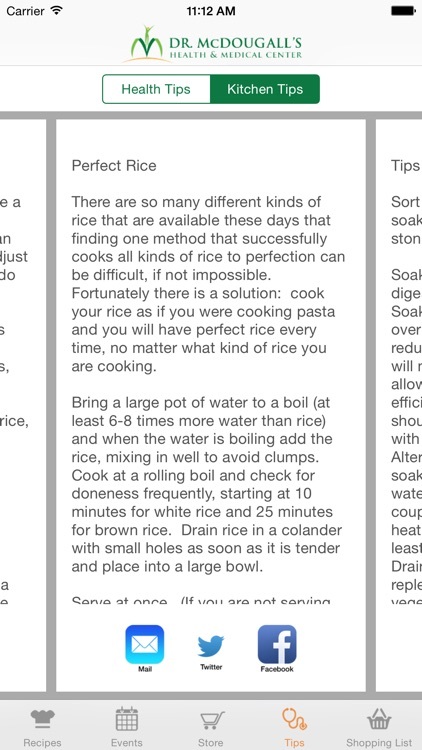 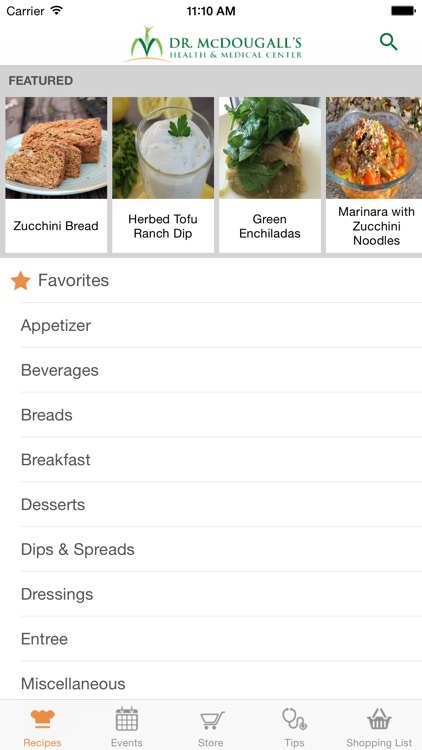 The app has health tips, featured recipes, a shopping list, and a favorites section. You can also access the latest McDougall event information and McDougall store where books, ebooks, DVDs, and apparel can be purchased.